I love me a bowl of Wendy’s Chili! Don’t you? I created this Copycat Wendy’s Chili Recipe for my whole family to enjoy. My daughter who is four, does not like spicy foods, or chili for that matter, she tried this, and loved it! This recipe is a tad spicy like Wendy’s, not so much the kids won’t eat it. I have a friend who worked at Wendy’s, and I she told me that at Wendy’s they chop up the hamburgers off the line, that are about to expire, and save them for the chili? Well this is a bit gross, but I do like how big and chunky the meat is. So when making this chili, I cook up seasoned hamburger patties., chop them up, and throw them in the slow cooker, so there is big chunks of meat, just like Wendy’s. So, after I cooked the meat, I added onions, celery, a Anaheim pepper (these are not spicy), kidney beans, pinto beans, beef broth, tomato paste, canned diced tomatoes, and a chili packet, stirred, and cooked on low for 8 hours, WITH OUT PEEKING! After cooking time is up, ladle into bowls, and top with cheddar cheese, diced onion, and saltines. I bought the little white paper bowls from a restaurant supply store (Cash and Carry), not good for the environment, but great for taking to work! At Wendy's they use chopped up hamburgers, so the meat is bigger and chunkier, so that's what I did, I shaped my hamburger into 4 patties, sprinkled with salt, onion powder, and lots of black pepper, and cooked them on the stove top. Then chopped them up, and threw into the slow cooker. Or you can brown the meat like normal by breaking up as you cook it. 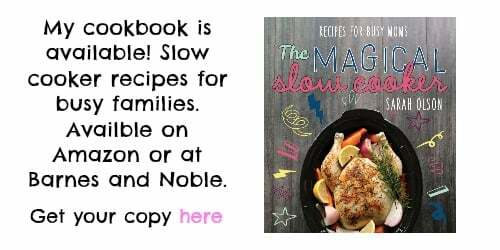 Add the other ingredients to the slow cooker. Cover, set to LOW for 8 hours. Do not open lid during cooking time. After cooking time is up, stir, and ladle into bowls, top with onions, cheese, and saltines! This looks so good. My question: can I do this recipe in a 4 qt or does it need to be a 6 er ? I don’t think this chili will fit in a 4 quart. THis sounds great! I can’t wait to try! G’day! I LOVE Wendy’s Chili and yours would be perfect today! I love chili in the slow cooker. 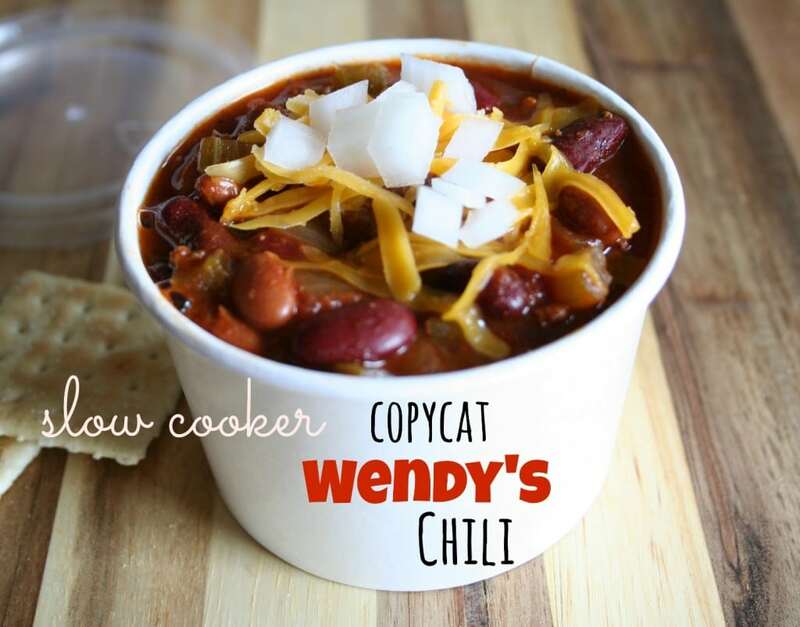 Yum – I love Wendy’s Chili – can’t wait to try your recipe! Thanks for sharing! The chili was one of my favourite lunches, when I worked at Wendy’s. Great to have found a copycat recipe. Thank you for sharing at Simple Supper. 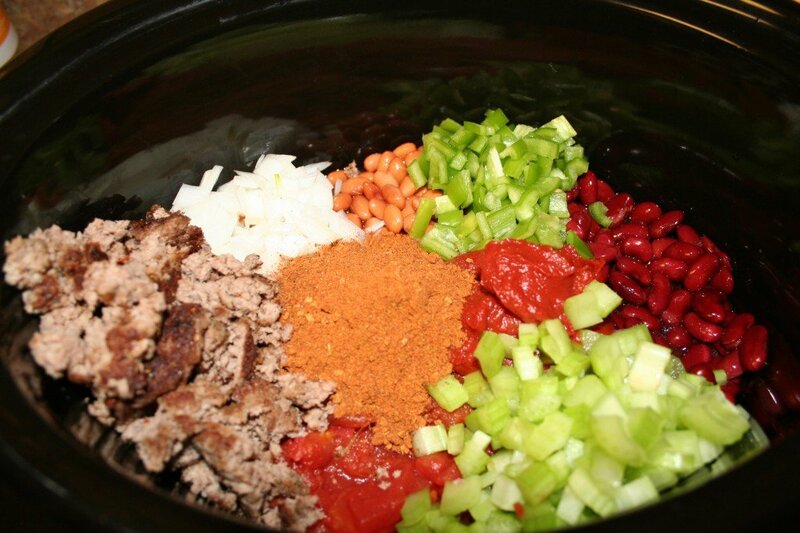 Love the looks of this chili – YUM! 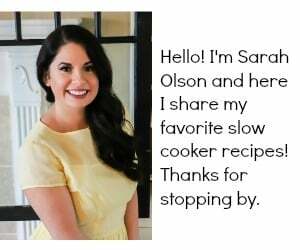 I’m always looking for a new chili recipe to try out and I’m so glad I found yours! Sarah, this looks sooo good, and YES, I love me a bowl of Wendy’s Chili! 😉 This was most-viewed at Treasure Box Tuesday this week, and will be featured at this week’s party! Yay! So be sure to bring enough for everyone… 😀 PINNED! What a fantastic recipe! We thoroughly enjoyed it! 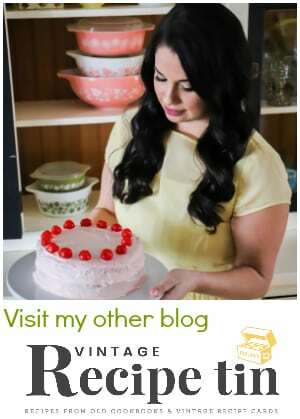 Thank you so much for attending Weekend Social Blog Hop and Link Party #13 ! Don’t forget the requirements of being featured . We hope to see you there Friday at 9 PM to kick off week 14! We can hardly wait to see what you surprise us with!! What a great copy kat recipe, I love Wendys Chili! 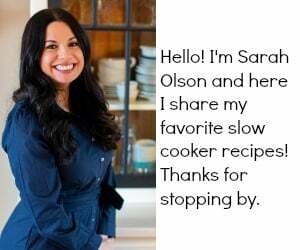 Thank you so much for sharing with Full Plate Thursday and hope to see you again real soon! Made this today but it just didn’t do it for me. The flavor is kind of bland and still needs something to give it more of a chili flavor. I think it was the beef broth, which I have never used in chili before. The tomato taste is not as strong as I would like it. My mom asked at Wendy’s what the secret ingredient was in their chili and they said cumin. You might try that. I know the true Wendy’s recipe. There was one thing missing. A small can of chopped chilies. I use hatch from New Mexico. Any will do. The mild ones, yout can add more heat, if desired. no smaller than a pea. Thanks for the great chili recipe ! Does anyone know what ingrediants might be in the “Hot Chili Seasoning” packet that Wendy’s offers for its chili? The Wendy’s seasoning packet adds a welcome spicy kick but only discloses “natural flavors” on the back of the packet itself. Could I use dry beans? If so how much? I made this last weekend. My first attempt at making Chili EVER! It turned out wonderful!! My kids went back for seconds even !! LOVED IT!!! Easy to make and delicious !!! That is so great to hear! Especially great when the kids like it! Hello!!! I am single and do not require nor need servings for 6. I also, like fresh beans over can. Any suggestions??? If so can you provide the recipe. Hi Sheena, you could freeze it?